What Are The Most Common Types of Car Accidents in Massachusetts? Every day there are car crashes and fender-benders all over Southeastern and Southcoast Massachusetts. 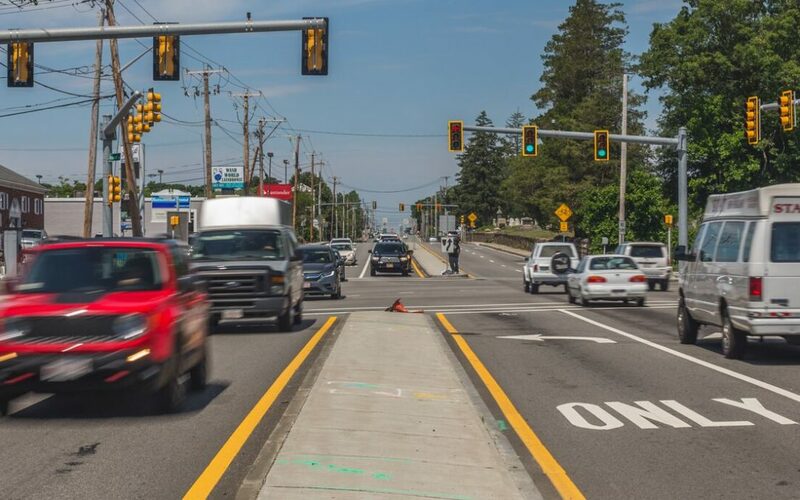 Whether it’s on traffic-laden highways like Interstate-195, Interstate-79, or in busy downtown hubs like New Bedford, Fall River and Seekonk, distracted drivers are causing more car accidents. These accidents often leave people with severe catastrophic personal injury and wrongful death. Let’s take a look at some of the more common motor vehicle accident types to be aware of. Rear Impact Car Accidents or Getting “Rear-ended” – Collisions in the rear are almost always caused by distracted driving. An accident hitting the rear of the car is usually caused by the driver behind the impacted car. Injuries can range can vary depending on the speed of the impact. Common injuries in a rear-end car accident range from whiplash and other neck injuries, to more serious spinal chord injury. Cross-traffic or “T-Bone” Car Accidents – These types of car accidents usually occur at busy intersections like Route 6 at Kempton St. and Brownell Ave. (Route 140) in New Bedford and are most often caused by a distracted driver running a red light or stop sign, or making a left turn without yielding to oncoming traffic. Side impact car accidents like these can be especially dangerous because seat belts and airbags are no longer effective in protecting the driver and passengers. Low Speed Impact Car Crashes – A low speed impact car accident can be defined as a collision under the speed of ten miles per hour. These types of accidents and fender-benders commonly occur in traffic or busy parking lots, or while driving through neighborhoods. Even if the accident occurs under the speed of ten miles per hour, whiplash is still a possibility and it is recommended that you see a doctor. Impacting Other Vehicles While Merging – It’s not uncommon for merging vehicles to not pay attention and “blindly” enter the right lane of traffic from the on-ramp or to miss other vehicles in their blind spot. This negligence can lead to some dangerous situations and lead to side-swipe car accidents, as well as force the vehicles in the right lane to swerve into the other lanes causing other vehicles to collide. If you or a loved one have been the victim of any type of a car accident due to somebody else’s negligence, make sure to talk to one of our experienced attorneys. We’ll help you to get the settlement that you deserve.